Resolution HR-2075 changes the boundary of the wilderness study area to allow mechanical fire suppression at top of canyon. A plan to protect Crooked River Ranch from wildfire passed the U.S. House of Representatives July 11, and will now go to the U.S. Senate. 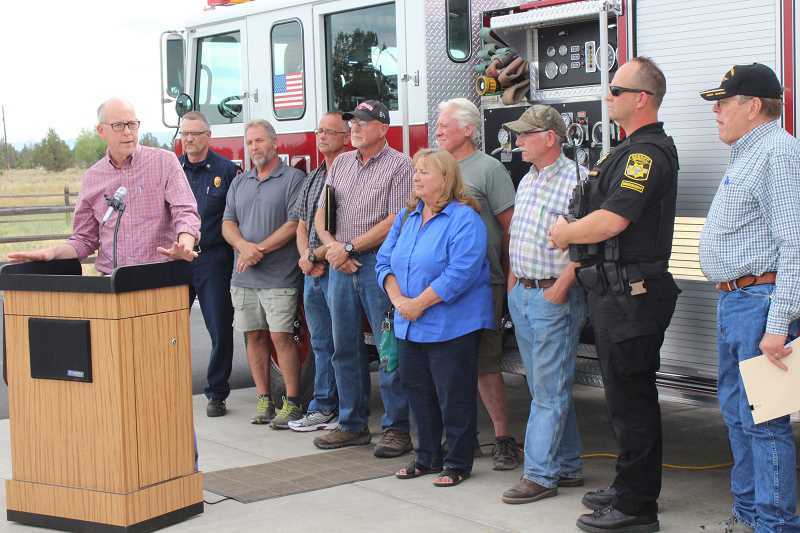 Six days earlier, U.S. Rep. Greg Walden visited the Ranch to discuss the bill he introduced in April to move the border of the wilderness study area back from the top of the Deschutes River canyon, to allow mechanical fire protection activities. "This legislation will allow the BLM to create a safety zone between the canyon rim and the residents of Crooked River Ranch," said Walden, adding that it takes an act of Congress to change the boundary of the wilderness study area and remove the 832 relatively flat acres at the top of the canyon. The bill was written more than two years ago by Mike Folkestad, who serves as a director of the Crooked River Ranch Club and Maintenance Association. "It's been in the gin mill for a long time," he said. "It changes the designation of the flat area above the Deschutes River from WSA to BLM." "The current WSA classification prevents mechanical fire prevention activities within these overstocked juniper stands," said Walden. "My legislation simply removed the WSA designation, but keeps the lands as BLM and USFS." "It's a very simple bill that will save lives and prevent catastrophic fire," said Walden, noting that windy conditions could cause fire to come out of the canyon like a blow torch. "Additionally, a 1992 study by both the BLM and the USFS recommended that these lands are not suitable for wilderness," he said.